Christ of Compassion Ministries upon their arrival in Mlolongo in 2007. After meeting the residents of this town that has sprung up on the international road bordering Tanzania and Kenya, they quickly discovered that it needed Jesus! Albert began evangelizing by going door-to-door. Within three months, they started the fellowship and within six months, rented a building. The focus of the ministry is to preach the Gospel and teach the word of God, to show compassion to the needy people and disadvantaged in the society, discipleship, to create vocational training center for youth, church leaders and disadvantaged people, and to create branches in sending missionaries. The church has home cell group fellowships every Tuesday, along with a children's ministry and a youth ministry, which meets on Sundays after the main service. Evangelism projects include door-to-door evangelization in Mlolongo on Tuesdays and Thursdays, and plans for Spring and Fall crusades. 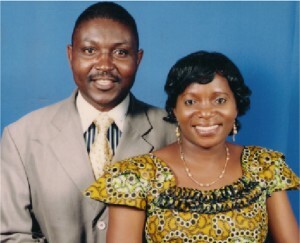 Strengths: Albert and Micheline are people persons who love fellowshipping, teaching and sharing. They have compassionate pastors' hearts. Albert and Micheline also have three adult children, Stephanie Salima Makila, Paul Makila Mangapi and Bodwin Mangapi Kwanda.